Seeds of Bakuci or Bavachi, seeds of Cakra-marda or Panavad, Daru-haridra, Haridra, seeds of Karanja, bark of Nimba, Haritaki or Harad, Amalaka or Amala, Manjishtha, Amrita (Giloy), Kirata-tikta or Chirayata, Kutaki, Shweta-candana, Deva-daru, Krishna-jiraka (Kali-jiri), Drona-pushpi, Kantakdri, Ushba, Arishtaka (soap-nut), cow's urine, Tila-tail (sesame oil). Quickly curses all types of skin-disease, like ring-worm (dadru), itching, eczema, leucoderma, psoriasis, urticaria, freckles, skin allergy & sun-burning. Gives quick relief in cracks of hands & feet, burns, cuts & wounds. 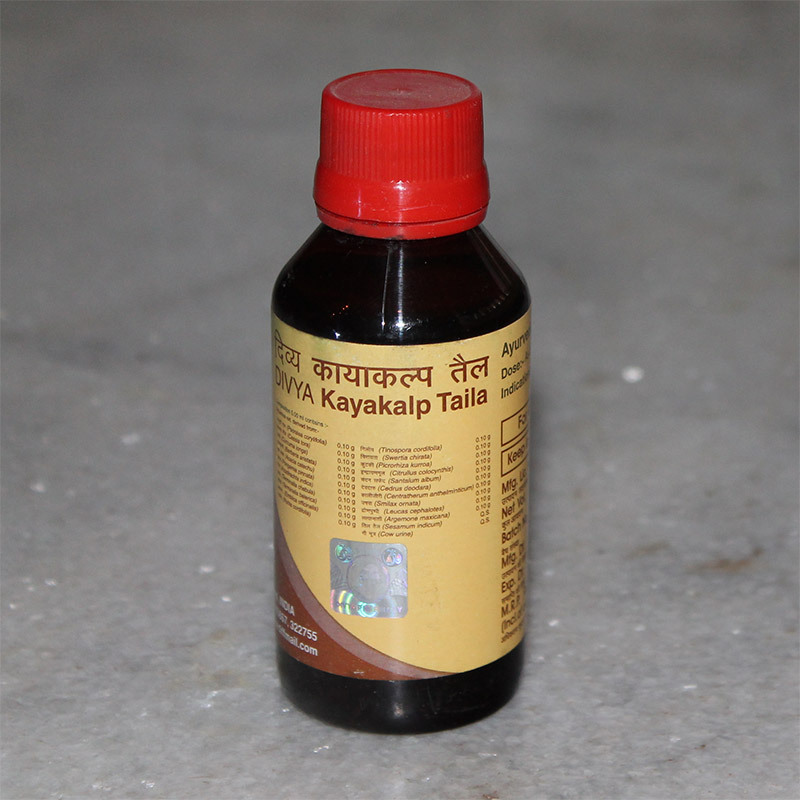 This oil is extremely useful & beneficial, so it should always be kept in each & every home.